“We Commissioned Snap Marketing to revitalise our brand, we asked them to look at taking what we had and evolving the brand forward, as the business was growing & attracting a number of large corporate clients. As well as strengthening the branding we also commissioned Snap to design and develop our website. The new website had to be user friendly, attract new business & be able to handle our customer/new client deliveries & pick ups whilst integrating with our internal system to produce a seamless work flow, that could be used on clients mobile portable devices. 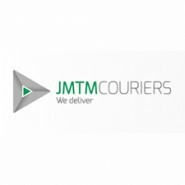 The new JMTM brand was echoed throughout the website. The responsive website included on & off page SEO which enhanced our online visibility & included a bespoke client login area that we are able to update along with other areas of the site. Snap also design & printed our company Business Cards, designed & produced Invoices & letterheads that we could use electronically or print off from our own internal printer.